As if things weren’t bad enough, NBC just reported that a minor earthquake hit New Jersey. 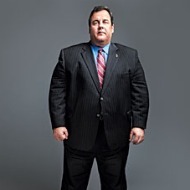 Oh wait, that was just Chris Christie leaving his press conference. This entry was posted in Uncategorized and tagged NJ, Sandy by Rob Pollak. Bookmark the permalink.